← Is Praying Before Football Games Cheating? A fundamentalist Christian organization, Child Evangelism Fellowship, has recently ramped up their presence on public grade school campuses. They are emboldened by a supreme court decision that said, to paraphrase: if schools lease facilities to anyone they can’t exclude religious groups like CEF. Clarence Thomas, who wrote the majority opinion, asserted that the establishment clause was not at issue, because CEF activities were clearly distinguished from school sponsored activities. But are they? Can children in first grade really tell the difference? Or has CEF crossed a line? In this interview, a Seattle parent, John Lederer, talks about what happened at his daughter’s school. Why don’t you start by telling us what Good News Clubs are. Yikes. So what exactly do they do to “evangelize and disciple” children? If you ask, they won’t share the curriculum or lesson plans. The materials are tightly held, so parents don’t have a good idea of what this is. They had posted that parents are welcome, so we sat in on two of their sessions and saw some stuff that was not actually kosher. Then they told us that we were no longer welcome. They teach a very fairy tale version of the Christian faith. For example, they give the kids little puzzle toys that are fun to play with but really it is a wordless tract. A black heart shows the original sin in each child, gold is heaven, a red cross represents the blood of Christ, a white heart represents the pure child who has found salvation. My kid played with it for 20 minutes. I didn’t tell her what it is supposed to represent. The idea is that the kids bring it to school and other kids ask about it. These kids are easy to manipulate. Cake, cookies, balloons are very attractive to them. They use enticements like these to get children to say to their parents, “Can I go?” Children can’t tell the difference between good news club and school sponsored activities like chess club. In November or December of 2008, my daughter was in 1st grade. I was on the playground volunteering, and another parent said, “Did you know that there was this evangelical group running a program out of the school?” They had sent a flyer home by kid mail. I was surprised. I thought it was illegal. Why were they showing up in my child’s school? When I read their mission statement and values and principles it was clear that this was a very theologically conservative, right wing and evangelical form of Christian faith. My initial concern wasn’t that they existed but that they had targeted my child’s school and my child is only 6 years old. They are targeting very very young children. But they are renting the space, right? Isn’t that what the supreme court approved? Well, that’s another story. In Seattle, all of this is being subsidized by us the tax payers because they get the space for free. Two policies apply: Religious groups can rent facilities but need to pay the rates prescribed. Religious activities can’t be held during school hours except in areas that have been leased. But Community use by certain groups that are engaged in youth character building youth sports, YMCA, . . . boys and girls club are able to use school facilities after hours at no charge. So in their application they called it ‘building character in children with biblical principles.” Initially it was classified as a religious organization. Then it was reclassified. They claimed to be child character building and the district never asked to see the curriculum. The district made their decision on the basis of not wanting to be sued. This has happened repeatedly across the country. The CEF website says explicitly that they are about religious instruction, which means that providing space for free, subsidizing their facilities costs, is a tacit endorsement of their teachings. There is an actual supreme court decision that made this possible in 2001. In a nutshell, prior to 2001 a religious organization couldn’t rent space at a public school and provide religious education. That was seen to be in violation of the establishment clause of the constitution. In 2001, a decision was written by Clarence Thomas in a case known as Good News Club vs. Milford School District. It was a six to threedecision, but there were five separate opinions among the nine judges. They couldn’t agree about how to justify their decisions. The basic finding was that if a school district makes its facilities available to community organization they can’t discriminate. It doesn’t raise an establishment clause issue because there was no way that any of the students, staff or parents could perceive that it was endorsed by the school. It was held after school, no teachers involved, no staff involved, no way that anyone could think it was a school or PTA activity. For that reason the establishment clause was irrelevant. Since the decision that part of his reasoning has been ignored by the actions of CEF. CEF has systematically violated all of the conditions of the supreme court decision. They clearly are not about character education they are about reaching children who are unchurched and bringing them into their belief system. In this mission, they try to leverage the legitimacy of the school setting. By putting fliers in kids’ back packs they are clearly using the school’s communication channels. By trying to put an Ad in the PTA auction book at our school they tried to use the other vehicles of the school to legitimize what they are doing and to integrate it with the school’s activities. But the third and most egregious example of overstepping at Loyal Heights was when the leader of the Good News Club began volunteering in a kindergarten classroom four days per week. This person, who didn’t have a child in the school, who was leading the Good News Club on Fridays was present in the kindergarten classroom, presumably so she could identify students who she might be able to recruit and build relationships with them. A kindergartener can’t tell the difference between a teacher and a volunteer. Both are authority figures who they implicitly trust. So, from the perspective of the students it was a clear violation of the principle that it needs to be separate. There should be no chance of confusion about whether it is part of a school. Review and understand those school district policies and procedures that can help ensure that CEF’s religious activity are separated from the school administration, operations, and instructional program. If necessary, push for revision of those policies and procedures. Well, at my daughter’s school they now meet in a portable. They no longer advertise on campus. They don’t give out t-shirts for kids to wear to recruit other kids. I see this as a clear effect from the parents getting organized. They may now actually be serving families who share their beliefs. But I fear that it’s a temporary victory. They are going to wait us out. They will once again want to put up their balloons, their signs, and do all of the things they aren’t allowed to do. 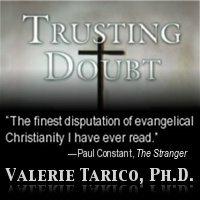 Gallery | This entry was posted in Christianity in the Public Square, Musings & Rants: Christianity and tagged Child Evangelism Fellowship; Good News Clubs, Christian fundamentalism, Church state separation, proselytizing. Bookmark the permalink. Maybe, just as Washington has banned (Christmas) displays after FSM, festivus poles, etc. showed up to compete for spots, we need to find some wily parents and kids to form their own “good news” character education clubs and put a kibosh on the whole terrible idea of targeting other people’s children. A growing number of after-school Islamic outreach clubs [gasp] should do the trick, I’d guess. I was a CEF summer missionary for 3 years. Leaders taught me the little boys and girls were going to fry in Hell if we didn’t get them to pray the sinner’s prayer. >> put a kibosh on the whole terrible idea of targeting other people’s children. Children have the same free speech rights as anyone else, including the right to convert other children to their religious faith. As a Christian parent I was pleased that my children shared their faith at school. I want my children and their friends to learn about Jesus Christ. We Americans sued and won in the US Supreme Court so that we now may hold Bible Clubs after school across America. This is our free speech right. You don’t have to like it. You DO have to tolerate our free speech… and that of our children. If you don’t want your children to attend, just don’t sign the OPT-IN take home form. Don’t try to stop other parents who want their children to receive Christian friendship and attention and teaching. This is their right. Our Christian founding fathers gave us the Constitution and Bill of Rights to protect the freedoms of speech and freedoms of religion. What would your reaction be if a child tried to convert *your* child to another religion and succeeded? *I* took my child to church, so how dare you go into schools and undermimd the religious belifes of other patents. I’m a Christina, too. Just not a bully or a bigot like you. Oh, so now you want to interfere with OUR free speech rights while insisting on your own? How very christian of you. Terrific. Please post your zip code so I can arrange for the children of zealots representing *all* religious belief systems (not just your own) to descend on your kids’ school first thing Monday morning. Over the weekend, I’ll contact every Islamic mosque, Hindu temple, Church of Scientology, Kingdom Hall, Catholic cathedral, native tribe, Unitarian congregation and college university (where secular humanist elites meet up) in your region. Color me excited! Secular humanists, atheists, homosexuals, and witchcraft followers are ALREADY in the public schools. I am glad that we can provide equal time for those who want something better. Every wonder why the liberal denominations do not start ‘Bad News Clubs’ to represent them? How do you get all excited over being an advocate for absolutely nothing? Can you point me to after school programs in which secular humanists, atheists, homosexuals, and witchcraft followers are seeking to evangelize grade school children?